Try on new adidas NMD sneakers and take a VR walk in Tokyo! 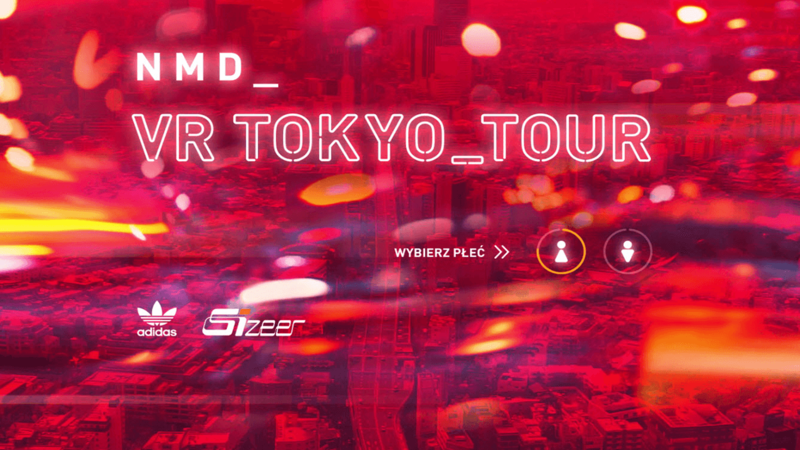 Thanks to our NMD VR Tokyo Tour installations the NMD sneakers have become the most often tried on sneakers at Sizeer stores and, more importantly, their sales have increased by 47% in the stores which offered the NMD VR Tokyou Tour. Can we experience advantages just by trying them on in a store? adidas NMD are almost iconic shoes in the adidas portfolio. They were designed focusing on high fashion and using new Boost technology, which gives costomers incredible convenience during long walks. That’s why our challenge was to share this unforgettable experience of trying those shoes on with our customers and to increase sales in of the most popular store chain “Sizeer” based on this experience. Go for a walk in Tokyo! For this aim we have created an unforgatebale VR experience. Our customers were able to try out the new NMD on Tokyo streets in a dedicated virtual reality. Hours of content were shot in Tokyo to create a special dedicated app for virtual reality which has then been synchronized with a treadmill.